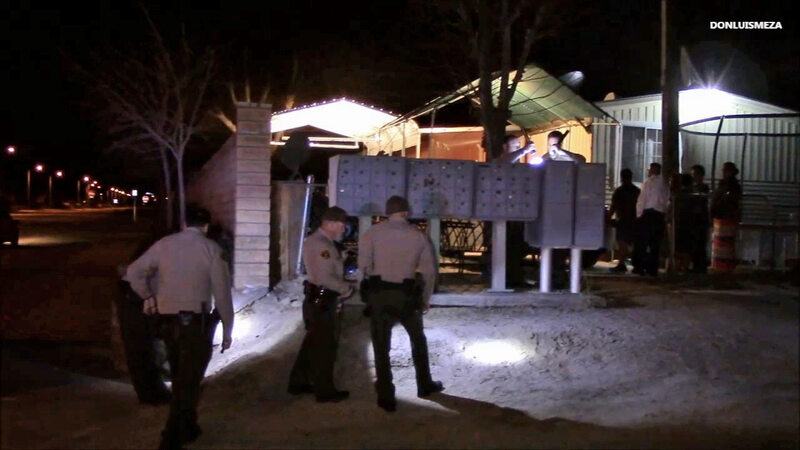 PALMDALE, Calif. (KABC) -- A 3-year-old child was injured in a possibly gang-related shooting in Palmdale Sunday night. Authorities responded to the 38000 block of 65th East in Palmdale at 9:48 p.m. The child was hit in the lower back by a gunshot that went through an exterior wall and an interior wall at 9:48 p.m., a sheriff's official said. The victim was rushed to a local hospital with minor injuries and was expected to survive. Paramedics had earlier reported that the child was in critical condition. The suspects fled on foot. No further information was immediately available.